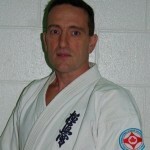 Brad has been training Kyokushin Karate for over 25 years, and participated in the World Championships in 1991, 1995 and 1999. 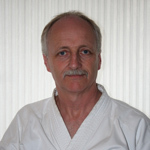 He has trained and been mentored all over the world by many of the top instructors in Kyokushin. 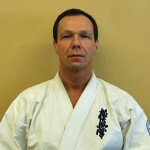 He is an IKO Associate Referee and has officiated and instructed throughout the various regions of the IKO. He is firefighter for the city of Calgary and at home, he enjoys a lively household with his wife and three young boys. 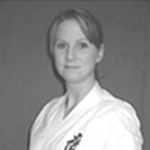 Michelle has been training since 1996, where she trained under Sensei Herb Milton, until she moved to Calgary with her husband Brad in 1999. 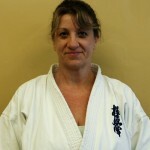 She juggles karate with her three children and career as a manager at the University of Calgary. She is an IKOK-C certified official and has had extensive experience planning and competing in tournaments. Lisa began her Kyokushin career as a karate-mom, but soon after joining, she was hooked and has since become one of our most dedicated and reliable students. Lisa has competed in many tournaments, and has been instrumental in organizing many club events. Lisa is a secretary with a local Calgary Company and is an IKOK-C certified official. Richard started Karate in 1997. 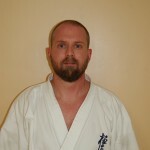 He has competed at the national level in both Kumite and Kata and is an IKOK-C certified official. He is the assistant manager of a local graphics company. Doug began his karate career in 2001 when he walked into the dojo with his two sons. Today his entire family is involved in the art of Kyokushin. Doug has participated in many tournaments both as a competitor and coach. The passion he has for the martial arts and Japanese culture is clearly evident in his training. Doug is an IKOK-C certified official and the manager of a large body shop in Calgary. Jordan began training when he was 5 years old. He has competed and placed in many local, national and international events including the illustrious World Tournament (held in Japan every 4 years). He has just completed a degree in Criminal Justice. Adrian began training in 2005. He is an accomplished competitor as he is a three time World and four time European Archery Champion. 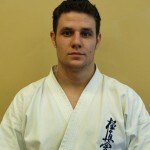 As well as teaching Kyokushin, Adrian instructs archery, he is also an IKOK-C official. 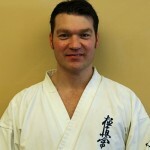 The Calgary Kyokushin Karate club was first opened at the McKenzie Lake Community Centre by Sempai Kim Fradley in 1994. In 1999, the club was assumed by Brad Gillespie, who moved to Calgary from Vernon, British Columbia, to take a job with the Calgary Fire Department. Since that time, Calgary Kyokushin Karate has registered over 1000 students with the IKO, many who have gone on to become Canadian Champions and to compete at the International level. Currently there are four training locations throughout Calgary and the surrounding area. An instructors program was implemented in 2007 to help senior students develop their skills as instructors. 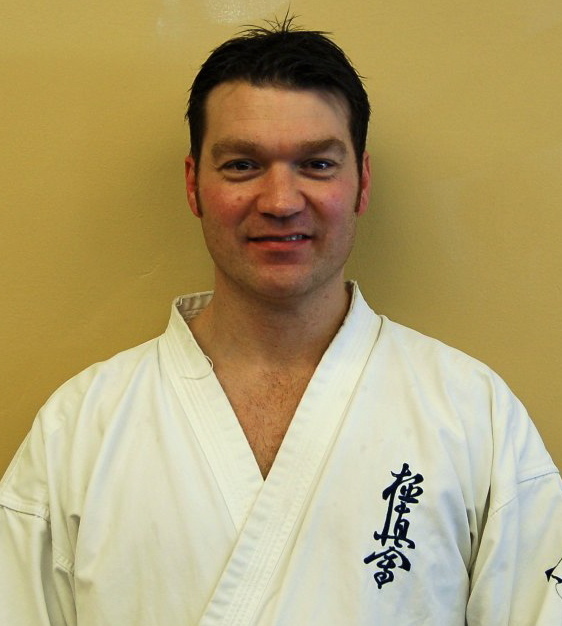 As a result, the instruction team at Calgary Kyokushin Karate provides a standard of instruction that allows students of all ages and levels to excel in the development of all-round karate skills. Sensei Brad was promoted to Fourth Dan in October of 2010, and continues to provide a unique blend of recreational and competitive teachings to his students.The unique culture of Calgary Kyokushin karate attracts both families and serious athletes, with its congenial atmosphere and non-threatening yet highly-disciplined and challenging karate teachings.